This coffee will be fresh roasted for you. 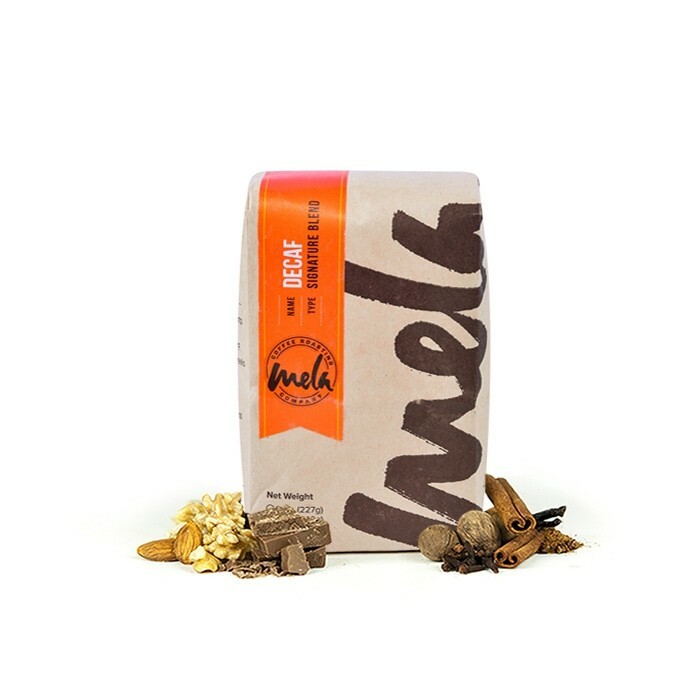 We expect Mela Coffee Roasting Company will roast and ship this coffee in 1-2 business days depending on their roasting schedule. This is the Decaf Honduras brought to you by Mela Coffee Roasting Company. This decaf coffee is from Honduras and is Organic, Fair Trade, and Rainforest Alliance certified. The coffee was fully washed before being decaffeinated using the patented Swiss Water decaffeination method. Mela developed this roast profile to bring out notes of smooth caramel, vanilla, and creamy body. wasn't crazy about the flavors in this one, i know I haven't commented much but I think we want to move toward a slightly more "roasted" flavoring (for example, my wife likes Summatra and French Roast from a regular coffee store), tho I know some afficianado's consider those "over roasted". so please keep sending us interesting new tasting experiences, but perhaps move all our choices just a notch more toward the more obviously roasted flavors? thanks! Not a hint of the metallic taste that decaf usually has. Very pleasant afternoon coffee.